These unbelievably COOL chemo bags!!! Amanda Nokes – A Patient With A Purpose, Is …On The Couch! Wow! Well said Amanda. What a great idea!!! My sister Paula, who is a nurse practitioner, had the amazing foresight to have “chemo bags” made for me when I went through this. She solicited items, little cards, notes and treats from friends and neighbors, numbered them – and would bring them with us for each chemo treatment. She was also my “capper” along with my husband through the cold cap process we used to save my hair from falling out through chemo – so I would savor the opening of these bags for when the first freezing cold -40 degree torture cap got strapped onto my skull. The notes and little treats provided so much comfort and “warmth” during that painful, freezing process. Paula even had chemo bags with candy and a surprise event (e.g., bowling, trip to the movies, ice cream, etc.) made for my spoiled rotten lucky kids – so they would have an outing to look forward to each chemo week, and I would get an afternoon and evening off from childcare. SO NEEDED – I was exhausted! ​Well, I love this idea and it is an absolute no brainer of a gift to send to anyone you know going through breast cancer treatment. The bags include everything you need, they come in 11 different colors and are gender neutral. She really nailed this one on the head! Great job Amanda! 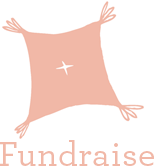 AND…because her generosity is boundless…Amanda has offered to sell these cool bags right here on The Cancer Couch Shop page. Type the word “COUCH” in the notes section and she will give 20% of the proceeds from bags sold here back to The Cancer Couch Foundation!! You can buy one for yourself, a friend going through chemo, or even purchase one to be donated to someone in need. She has kid bags too! Thank you so much Amanda! !